With Channelings from Angelics, Ascended Masters, Adama, Lady Nada, St. Germain, Elementals, Arcturians, Sirian Councils of Light, The Pegasus Star Cluster and a host of Galactic Beings. All with a message of Love, Peace and Self-Acceptance here in these times of Transformation! We are here to discuss your ever-awakening love that is within you! Dear ones, this time (and your ever awakening now) is about the return of love to this sphere and to awaken those codes of love within you..
As each of you awaken your hearts codes of love you can begin to remember who you really are, what your purposes are and how you can express your gifts an passions in this world at this time upon you.. This civilization is on the brink of discovery in so many ways.. Yes, there is destruction, pain, suffering and loss of expression. However, this time is also ripe for change, for letting go and for realizing the truth of what really matters and for joining forces with like-minded ones who are also here to bring forth new gifts and ways of being in harmony..
Dear ones you are not forsaken or forgotten.. We are you in ever increasing numbers; awakening love through each form you are in.. As you awaken again to the feelings and expression of joy, harmony, the discovery of your life force, you can begin to see and know that you all are now returning ever gracefully to allow your lights to turn back on.. It is like the mustard seed within, for you are all coded with love within… like a flower who is coded with the expression of that specific scent and floral arrangement.. Like the seashell, like all beings and matter.. You are coded within a divine blueprint that if allowed naturally, creates the perfection of that code and awakens it's purposes..
Dear one, each of you are coded with your own divine blueprint and mission of your timing upon the earth now.. You are here to love, to remember and to allow your own timing, your own perfection, your own flavor and scent..
As each of you awaken to that truth, you can throw off the shackles of history and the burdens of proving your worth. The fears that have dampened you and forsaken you and kept you in sadness and pain of not belonging can now be released.. This is now the time to rejoice in the power to remember who you are..
You alone can allow your true self and expression. You alone can feel harmony again within your form and trust and grow toward the light.. You can say “no,” I now live for my Self, and my expression of love and of my being! Your ‘I am’ presence is the mustard seed and is awakening at this time within you.. Trust this process. Allow this occurrence of love to flow again thru you. Open your channels to the light, to new expressions, to joy and to the service of this unity within that is calling you home..
Each of you is magnificent! Each of you is powerful beyond belief and each of you is here to be and do your own duty to the love of life, of freedom of expression and for true healing on all levels..
We say to each of you to come home to your own awareness and choice.. To begin to listen to your inner self and voice, to the mustard seed with you.. The kernel of truth, the part of you that is deep, alive, ancient, aware, your eternal soul! You are housed within this beautiful form as well, can you let go of the shackles, can you remember you are not imprisoned and begin to let go of the suffering of the past..
We ask you to now wake up.. Look toward the light, see yourself as the powerful creator you are.. Forgive yourself as you are forgiven and know that you are a one-of-a-kind jewel and are most needed now.. As you do, as you quit questioning your own divine beauty and begin to see yourself differently, you awaken the codes of love within you.. 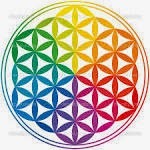 These codes are your true nature as a divine being in harmony again with all that is.. As the flower of life is in all creation, so are you, each being one and the same.. As your misperceptions drop and as you come home to love within, be easy, forgive yourself and those whom you perceive are still locked into past system constructs..
See them as yourself. Know that all beings seek to release suffering, all beings ask for love and home. All beings wish to come home to unity and yet they do now know how.. As you turn toward your inner light, as you listen to the authentic voice within you, you will come to know that you are already home. There is no thing to do or be other than who you truly are, which is unity, love, unified belonging and your own magnificence! Be easy with yourself and all beings, as you grow strong again in love! Know that this process of unfolding love, daily, moment-to-moment will inform you of your life’s purpose and of the awakening that is happening within each of you.. Know it will inform you and bring you closer to your brethren to make changes in the outer world. Know that first and foremost there needs to be a stabilizing to your own foundation to love and harmony, to balance these aspects from within you.. Seek not the outward source, rather know the harmony within.. Listen for your inner guidance and allow your ears and eyes to open to the gift that you are..
Know as well that as you all are achieving greater unity and equality you will see that to come home in the higher dimensions is to know the equality of all beings. That each one of us works together to create the tapestry and unity of all life. We are one breathing being, coming home to greater expressions of love and formations of new becoming.. So now and evermore, be open to new possibilities of creation within you! Open your channels and be like the child in opening your heart to every facet of the divinity that you are, now and always.. You are in perfection of creation, you have just forgotten.. As you awaken these codes within you, the greatest service is to this expression of your own being, as you harmonize and forgive yourself and allow your own flow of becoming, you help turn on others’ awareness and light as well! This is true brotherly love, allowing all to be and coming home to your own special expression and love of self! This allows your full codes to manifest and thru this, you send out the signals for love to all beings and help the process awaken faster and faster.. Now is the time dear ones, always it is now.. This system is getting the upgrade you all are here to experience and express. Join with all others in this by being in your own wholeness, focusing on your welfare and intuition, following your natural flow and expression, do your dance! As you do you awaken others gently, softly and with much curiosity and joy, know that no one wishes to be told what to do, but to join with the freedom of expression and natural love and curiosity that makes you all beautiful expressions of all creation! Join again in the service to the one and in that is the service to all beings in all being-ship! We love each of you and know that we are you; we breathe with you in this occurrence of love and know that we are ever becoming more full in that expression.. Know that as day turns to night, all things change and grow and fall away. Be easy in this occurrence and join with it to remember whom you are in your magnificence and step forth creating new pathways to love! We thank you and are sending an awakening to each of your hearts thru this message, calling you home to the significance of your unique self, in this we are one! So be it, so shall it be! 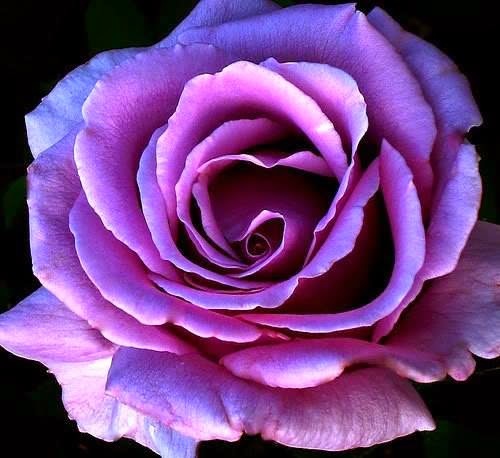 We give forth an exercise here as well to allow your codes of love, your flower to open within you..
We ask you to relax and open your heart to feelings of belonging in this moment, to being accepted by you, allow tender feelings toward your Self. Honor your life and purpose. Honor your beauty – inside and out. Think kindly upon your self and say to yourself “I am loved just as I am. I am I and it is good”.. As you allow this, let that feeling come from your heart to all parts of your body, letting go of stress and worry. If something comes forward to you, a thought or of anything that makes you feel bad or shameful, bless it, forgive yourself as you would a child and release all self judgment and doubt..
Look deeply into that occurrence and forgive yourself and others.. Very good.. Now allow all the love of mother earth and the universe to pour in thru each of your cells, bringing you home to love within and allowing you to feel safe and supported within the depth of your being.. Allow the healing within now. Allow the forgiveness and allow the belonging and the remembrance of love to awaken within you.. Now this is aligning you to your own self and to your codes of love.. As you continue to relax, your codes of love within you and your cells and chakras will open naturally. They just need your tending to by allowing the energy of support and connection and remembrance. It is like tending to your inner garden and allowing yourself as a plant to get water, nourishment from the earth and the sun as well as solar energies from your soul and the universe. As you allow this healing you are letting go of past suffering and agreements and belief systems that have held you back.. Ask now to release those and to open to support, love and unity again. So be it! Allow this all with ease and grace while connecting you back into the now moment so you can sing your own soul song and be a living flame embodiment that helps others to turn on as well! You can do this daily or anytime you would like a reboot and boost! We love you all dearly and are ever here for each of you to support you in this process of returning home to love. Be easy and know that self- forgiveness and self-love is key to awaken the codes of love within! In harmony we are one being, in love we are home! Thank you and so shall it be! Feel Free to Re-post as long as credit is given to channel and her website is included. Blessings! Hello to all of you beautiful beings! It is I, Saint Germain, here to speak to each of you and to allow being-ship within each of your dear hearts! Dear Ones, now is the time, yes, always it is now and even more so, now is truly the time to awaken your hearts fullest embrace of being a human upon this sphere! To be truly human is the task at hand! You may ask, what does it mean to truly be a human being? Well dearest person upon your beloved sphere, to be truly human is to be your living essence in form! Yes, each of you is a living essence that is in material form upon this earth at this time in this stratosphere, circling around the sun at a certain frequency! The frequency you are in is of course going through a major upgrade, a revolution of being, and a renaissance of delight! Yes, it can truly be a delight as you let go and allow who you really are! We shall forever come back to this question.. Who are you? A being- who is delighting in matter, who can become self-aware and can allow their own fulfillment, appreciation and love of self! We would say to each of you, love of self is key, is the way thru this time of the transformation of matter, as it is at hand dear ones. Yes it is! You each feel this deeply, have waited so long, and yet we hear you complaining of all that is in degradation, of all that is falling away.. Would you have it any other way? Yes all the worlds a stage, can you play your part? Can you be a willing participant? Can you let go of the dirt in the others eyes and focus on the board within your own? We get a bit stern here as each of you have work to do on your own wellbeing, that is the way forward and the task at hand.. Look not upon the outside, rather look within and awaken to your own destiny, to your divine power to yourself as creator gods! Open your eyes to see!! As you do dear one you will come to know who you are and take your rightful place! You are divine beings in form, playing the game here.. The game is changing now; swiftly all that is not in alignment to truth is falling away.. Stay strong in your essence, in the light within each of you.. Let it guide you to inner transformation and freedom! Let it guide you home! Home is where the heart is and dear ones the heart is within you!! Be free to enjoy the expression you are in, stay awake to the truth, follow and honor your own self, intuition and feelings, be open to new discoveries and have some fun.. Learn to let go and play.. Yes be like the child to enter heaven, which is the freedom to love, to open and to grow! Each of you is here to bring forth your own expression! Now is the great push forward.. Birth the star you are! Be free and enjoy this experience..
We are here waiting with baited breath.. As what will you birth within? As within so without, so stay clear that you are a powerful divine being! Open in all ways to your own essence, listen and honor what feels right to you and act on it! Let go of judgments and especially judgments of self and what you must do to survive or to gain acceptance! You are accepted, you must now accept yourself! As you do, you are free to explore new realities and to bring forth with Mother Earth new creations! As we each come home to our hearts, we become still, we can hear clearly, we can allow softness and grace, and we can reboot.. Then we can be refreshed to step forth along our own unique path and be strong enough to trust it! You are all coded for this and remember, you have everything within you that is needed for your journey! Remember too the Fool’s journey begins anew each day with unlimited potential! So have fun and enjoy your way! We love each of you dearly and are your greatest cheerleaders as you sometimes may fall or miss a step. Know in those times you gain such inner wisdom, clout and strength.. Be free and easy with the ebbs and flows of life dear one, enjoy the dance and follow your own innate wisdom.. All the way home. Merrily, merrily all the way home! We thank you and command you, take back your power now, and watch as the new world transforms and is unfurled! Be open to the necessary changes and have fun with it, be like the child and open to the wonders of the universe as you are all that is and always shall be..
We love you! Saint Germain and friends…. Blessings and love Dear Hearts!!! Feel free to re-post as long as credit is given to channel and her website is included, thanks! We are the Angels of the Energy Fields and we are here to bring tidings of joy and understanding to your new reality and being-ship! Although you may be feeling worn through—and by that we mean many levels of your identity have been released and you are becoming more ‘in the flow’ with your true understanding of reality—you are now in a better alignment to your overall good. By that goodness we mean your inherent choice and alignment with your inner joy and overall wellbeing! Dear ones, now is the time to honor all parts of you, as you have all had to do so most recently with your Eclipses and galactic alignments. These events are an opportunity for you to honor your truest self! All shadow defines the light. To honor the shadow then becomes necessary, for what is hidden within your shadow is oftentimes your greatest gifts, your true self, your abilities and your passion and joy! To honor this life you are in with passion and joy is now at hand! 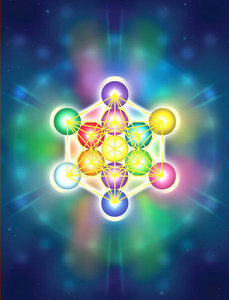 This alignment will bring you your overall wellbeing, health, happiness and the true flavor of your gifts and passion! All that is hidden must be understood, accepted and digested to allow overall wellbeing in your frequency. The frequency you are in at each moment is a result of this light/shadow harmony. By that, we mean your alignment to what you consider good and bad within you, to your own shadow and light! At the same time, one must accept that all beings have their own feelings and as we accept our own repressed passions, gifts and wishes, so too will this help us to also accept and honor this process within others as well. These desires must be acknowledged for what they are—Life Force energy! This Life Force energy that is your creative fire must be accepted and honored so as it can come into form in ways that honor each part of you, body, mind and spirit! To allow and not define your true feelings would be a step in the right direction, as just from that measure you can again begin to regroup and feel more full of strength and from that place can honor YOU more instead of being discouraged by others paths or wishes and trying to please them and their alignment! Dear one, each of you has inherent strengths, gifts and wishes in this life! 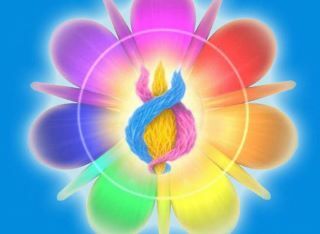 These aspects are your true self and nature, which align with your soul essence and also the creative fire within your elemental, earthly body! This experiment upon planet Earth is in honoring life and the diverse forces throughout creation that combine in unique ways to create a way-shower planet. How fun and exciting! Each of you is needed to align to your truest forms and realities so as you can bring your unique wisdom and gifts into form thru the creative fire and joy of the planet as well! As you align to your own unique soul signature, you allow your cellular reality to come into wholeness and thru that reality can align others by your very presence in your own truth! This allows all parts to come into collective remembrance and joy! Be true to your own unique soul-self and rise to the occasion of love and rejuvenation! As you let go and allow who you are, all is done, all is aligned thru you, like a giant clock that can come back into alignment with all parts so as it can come back to working order! As all time and space is rearranged in your favor, let go, open your heart and remember who you are that chose to play this game here. Be in the knowingness that you are one and from that place you can allow the peace, joy and unencumbered beauty to rise thru you, to enliven you and allow you to be in love again with your dearest self. We love each of you and can be called upon to support your individual process; we are the Angels of the Energy Fields and are ever at your service, supporting your awakening heart upon this beloved sphere! Feel Free to Re-Post as long as credit is given to channel and her website is included, thanks and Blessings! Hello to you, we greet you in kind in the kindest of ways we meet you.. We greet you in the heart space and we ask you to relax there and listen to these words we speak to you of..
Love, awareness and awakening heart codes. This time dear ones each of you are awakening further your own codes of love within.. By this we mean your own awareness and relationship to love of all levels is deepening at this time! It is so as each of you have been calling forth your own awareness of love within.. You are aligning to your own hearts wishes and the discovery of how you relate to love and your deepest feelings of what love truly is upon this earth and within each of your hearts..
To allow the furthering of your hearts unfolding is at hand! How can one come into deeper awareness and allowance of this love? Dear ones each of you is coded with the ability to rise and open to the occasion of love’s remembrance… this true unfolding must take place within you.. This is the task at hand.. For each of you are in a way reorganizing your own abilities to allow love in and to open to give love forth into your world.. Many have felt unloved by others, family and the outer world.. Yes and so many are afraid to truly open the heart.. As it feels that if one did you might get hurt again as you have before here and in other lifetimes.. The challenge at this time is to increase your abilities to trust that it is safe to allow love’s entrance.. This must be an inner decision to trust again that you are this love.. The way thru this is to open your own heart to you! Yes, this is why there is so much talk of ‘self love’ at this time.. For as long as you hold that door to love closed, waiting for the other to open it.. It can seem like you are waiting forever! Many have felt that love will not be there from others so what is the point? This experience here upon planet earth is unique in how separated from love and your eternal nature it can feel, and how deep it feels one can be caught in the forgetting.. The way to overcome this is to allow your own frequency and relationship and harmony with all levels of your own being.. It is time to turn deeper within yourself and to ask yourself these questions: Do I honor my own self? My own feelings and nature? Do I feel it is not safe to love? Am I afraid of this love that I am? As you build a better relationship with your own nature one can begin to see that you hold all the cards in your own unfolding to your relationship to love.. Can you make new choices? Yes, of course, but one must be willing to allow the feelings of surrender, opening, allowing and forgiveness.. Sometimes when you choose to be silent and connect to your self in your heart, one can feel grief or unsettled or lonely, this comes up as these feelings must be addressed, allowed and understood by you so as they can be released as misguided belief systems..
As each of you are allowing your own relationship to love you can begin to see how maybe you haven’t loved and honored your deep self.. How can one seek the occurrence of love externally and always seeking more and more and yet you are wishing the other would give you what you want like a child and yet you may not be able to give those things to yourself? You can give to yourself by allowing a better mental self image..
Dear ones comparisons and fear and unlove can cloud your own vision to who you are! At this time it is vital to allow a new occurrence and foundation of stability to love within your own self.. This will lead to better external experiences..
As long as you feel a victim to love, then there is no room for new experiences and growth and opening to heart awakenings.. So to allow your own feelings, nature and knowledge is the best way thru.. Allow time to connect with your dreams, wishes, and feelings and honor yourself as a creator! No thing can be done to you, if you are not in alignment with it.. Know that in your childhood or in other lifetimes you may have experienced much pain and suffering regarding relationships with love.. This, at this time is healing within each of you.. There is an ability to open forth to new horizons, new abilities and new experiences of the awakened heart! As each of you do your part in ownership of your experiences, claim that you are indeed a powerful being who can align with your magnificence, gifts and abilities and open heart flow at any time- in any moment of your choosing! What is important is to make the choice within you to allow yourself to open forth to new ways of being.. All of you at this time are being asked to make room, to let go and to open to new ways of being and to a new relationship to love and partnership! Honor you, allow your heart to open and be fearless in letting go of the old ways of seeing yourself and others in relationship! Know that each of you is supported lovingly and unconditionally..
Each of you are powerful creators, make the commitment to see with new eyes and to open your heart in new ways.. Know that the relationship you have with yourself is the foundation you create to match with others.. If the return you are getting is not to your likening, be open to allow new information.. Understand that it may be a belief you are holding about lack of love within..
As you forgive yourself for not knowing the answers you can let go more in your heart! As you forgive and send love to yourself you match the love of all that is! Know that what you seek is seeking you dear ones, but make room! Let go of the old and allow new ways of healing, and honoring and loving. Allow new ways of seeing and thinking and allowing.. Be free to let go and come home to your true self! In this process you will again come awake throughout the universe and can begin to see and know who you really are and how powerful each of you truly is..
To take the time to really become your own best friend and lover, yes! As you do the symbiosis is palatable.. You will feel refreshed and more connected and open to new discoveries of who you are and what is truly possible within the forms you are in! Be open to this new occurrence of love and be free to explore it deeply within you! We speak to you of the heart space and in this frequency you are home and can truly know who you are and create this deeper more freeing and uplifting relationship with you! And dear ones you can take that wherever you may travel!! Home is where your heart is open and that can be within your own being!! Be easy as you let go and come home to love! Awaken here and express this eternal love with all that you are in your human form as well! Enjoy this new experience of love and put forth a new commitment to your own harmony and wellbeing! You are one with all and in that deeply loved and honored for your being and expression! We thank each of you for your service to the one, to all that is. 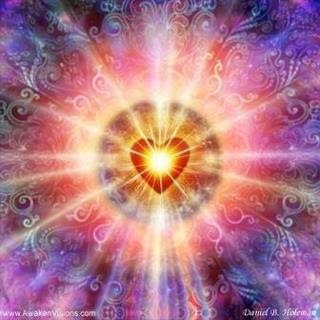 Allow more soft focus and harmony within, see you thru eyes of love and awaken the universal consciousness here within your beautiful heart and let it shine forth throughout this sphere and dear ones love is contagious when it is in it’s true and pure frequency! We honor and love you, your friends the Pegasians..
Feel free to re-post as long as credit is given to channel and her website is included! Jesus and Mary Magdalene, Be true to Love! Hello to you dear ones, it is Magdalena and Jeshua here to speak with each of you! Now is the time to be ever faithful to your true essence! 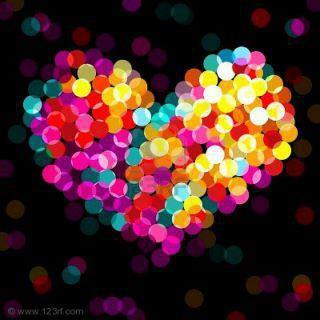 To be of pure heart and focus on your hearts flow and the true knowingness of love within! Dear ones now is the most powerful time upon your planet in eons and we are all here to support your return to the greatest flow of life-giving essence within each of you.. All of you are again coming into harmony with truth, love and flow of essence..
By this flow of essence, we mean your truest being at the deepest level. This wellspring is connected with All that you are, and with your source flow of the hearts alignment with your eternal soul! Dear ones this form you are in is quite magical in it's innate wisdom and gifts of knowledge.. What is natural now is balance, flow, kindness and purity of heart.. What is unnatural is any belief that these things are not attainable or are untrue to our being, whilst in form..
At this time upon your beloved planet earth all is perceived in great challenges of destruction and non-harmony of love... As each of you allow the depth of your heart and your being, the knowingness of your true essence and nature, you begin to awaken from this dream of lack, indifference, unlove and untruth..
Know that each of you have specific challenges in these areas. At this time the most important gift you can give the world is your true alignment to All that you are.. As each of you come online again to the awakened love within, you gain knowledge of all that you are, Oneness! When you see clearly you allow all that is not you to fall away gracefully and effortlessly, free of stress and anxiety! As you do this, by being present, coming home to the moment and allowing the flow of essence, your own true being within you, you can relax into your own divine gifts and arrangements and reasons of why you are here at this time.. Relax and allow your alignment now and in each moment, come home to love within you..
Dear ones as we awaken to another moment in time, we are one, as we align to true love we are great, we are free and we can flow this eternal love and harmony into this sphere, the sphere of all being..
Know that this is the greatest service to allow love thru you, to allow it to consume you and to allow you to be clear in your heart that all is with you to bring you home to love again! This plan has been in action for so long dear ones, now is the time to bring it home! To allow love here upon this beloved Earth and to awaken to each moment in true ownership of the love that you are! Claim it, allow it and be it fully now, as you do you bring all into alignment again with the true harmony of all the spheres..
We are one being and as each of you allow this Is-ness within we complete the cycle and can allow the fun to begin again! We are here ever grateful to each of you dear souls, we send greatest allowance of love that your hearts can take! We know that in our deepest heart we are ever free to be all that we are in any form and to enjoy the journey of life, freedom and peace in this realm again! Stay true to your divine mission and open your hearts! Let the love pour in again and remember, we are One, always! With love and greatest thanks, Mary Magdalene and Jesus, your family of one heart! Feel free to re-post as long as credit is given to channel and her website is included, Blessings! Go to www.raydawn.com! I do Intuitive Readings, Energy Healings and Clearings and Channeled Sessions by Phone/Skype, Email and at my office, in person here in Mt. Shasta. Wholeness is who you are! copyright Ray Dawn 2010. Ethereal theme. Powered by Blogger.